The Cure's Robert Smith was interviewed this week by the program CapeTalk in promotion of the band's first ever shows in South Africa. 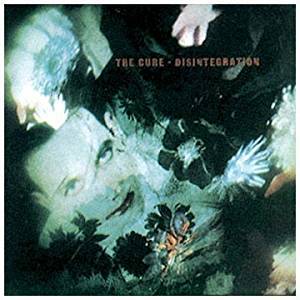 During the interview Smith revealed that he's just finished recording the Cure's still-untitled 14th studio album but says the record does not yet have a release date. He also told interviewer John Maytham that even though he's spent 40 years focusing on the Cure he says it doesn't feel like he's "been doing it that long" and he especially loves playing live shows. He chalks that up to the Cure's varied catalog -- it's still very interesting to him because The Cure have tons of different songs and styles to draw from: dark, brooding, whimsical, emotional, melodic, and poppy. "Really at heart, I think the Cure stayed with the punk ethic although we've had a degree of success and signed to major labels and stuff, at the heart of it, we've always slightly rejected doing things in a conventional way." "When we first started we had no photos taken, we shied away from it. I didn't want people to know who we were, because I wanted them to listen to the music. I didn't want them to prejudge us and think we were a punk band because I thought we were kind of different. I played with a band called Siouxsie and the Banshees for a while, I saw the audience and I kind of liked that look, so I suppose that I just kind of like moved into that kind of look. But I think the real reason was actually because I don't have well defined features and I just need make up when I'm on stage...for thousands of years people stand on stage and get made up to kind of project their features, and I just do the same. I just liked doing it...as a Bowie fan from way back I liked the way he created characters although I've only ever created one character and it's pretty much me, it's just a bigger version -- a louder version of me -- it just allows me to be a little bit more kind of flamboyant. I'm not naturally a performer...it gives me...not courage, but a lack of self-awareness." Head here to stream the full interview.